Hill Communications, the Newhouse School’s student-run public relations firm, was honored as part of the inaugural PRServing America awards, sponsored by the Public Relations Society of America (PRSA). The awards program recognizes and rewards PRSA members for their pro bono efforts to strengthen and preserve the communities in which they live and work. Hill Communications was the Public Relations Student Society of America (PRSSA) winner for a campaign the students developed for “Operation Homefront,” a nonprofit organization that provides emergency financial and other assistance to the families of service members and wounded warriors in the tri-state area. The students provided a publicity campaign, media relations and monitoring and a media kit and promotional materials for the organization in order to raise awareness with veteran families, drive donations and increase monetary support and raise awareness of volunteer opportunities. Campaigns entered in the PRServing America awards competition were judged by PRSA members and evaluated on the basis of their research, planning, execution, results and originality, as well as the campaign’s ability to impact the perception of the public relations profession in a positive way. Cash prizes of up to $2,500 were awarded to the winning programs. 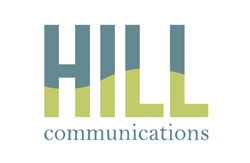 For more information about Hill Communications, see www.hill-communications.org.